Here it is! 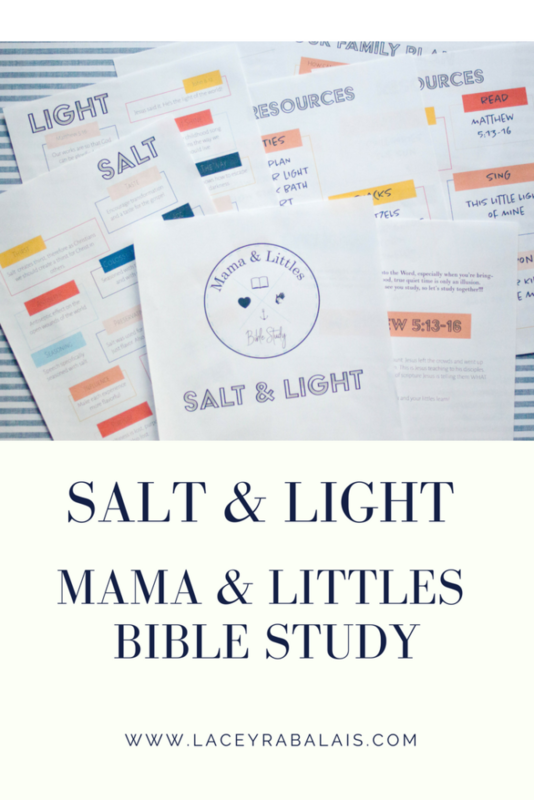 Mama & Littles Bible Study Salt & Light. 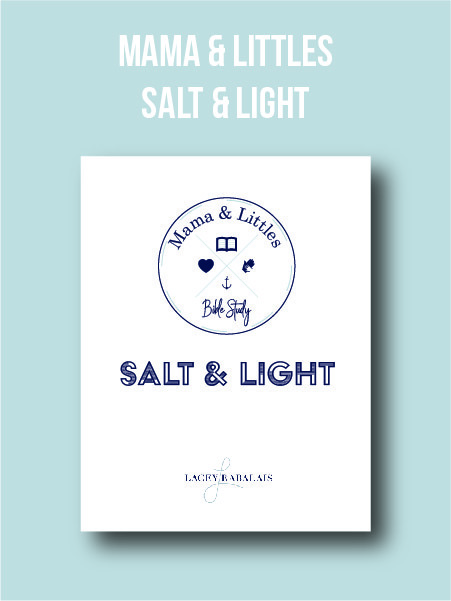 Why salt and light? Because it’s an important lesson. It’s a great concept to discuss as a family as we all transition our of summer and into school routines. 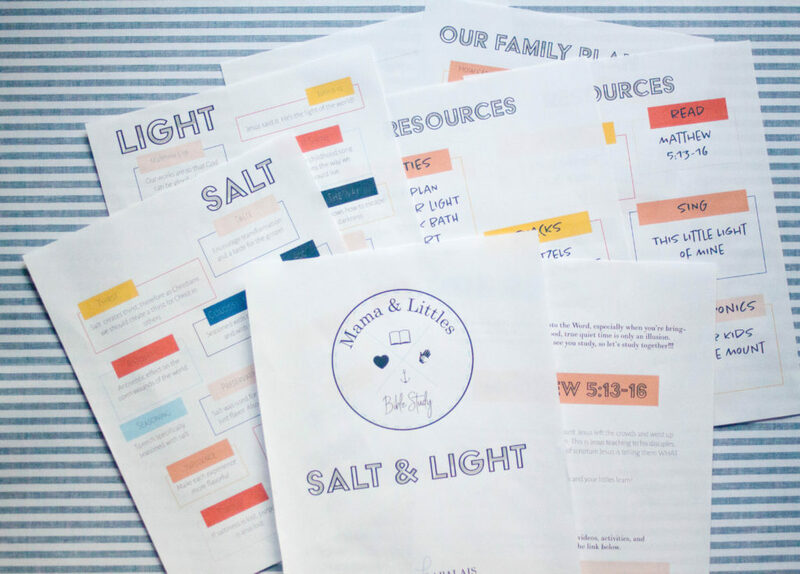 Family Plan // Included in the printable study is a place for you to make a plan as a family for being salt and light in your home, community, and world. Draw Your Light // Included in the printable study is a place for kids (and you) to draw how they can be light. Glow Stick Bath // See how lights dispel darkness by playing in a bath tub with glow sticks. It’s also pretty entertaining for witching hour. Salt Art // Construction paper + glue + salt + watercolors. 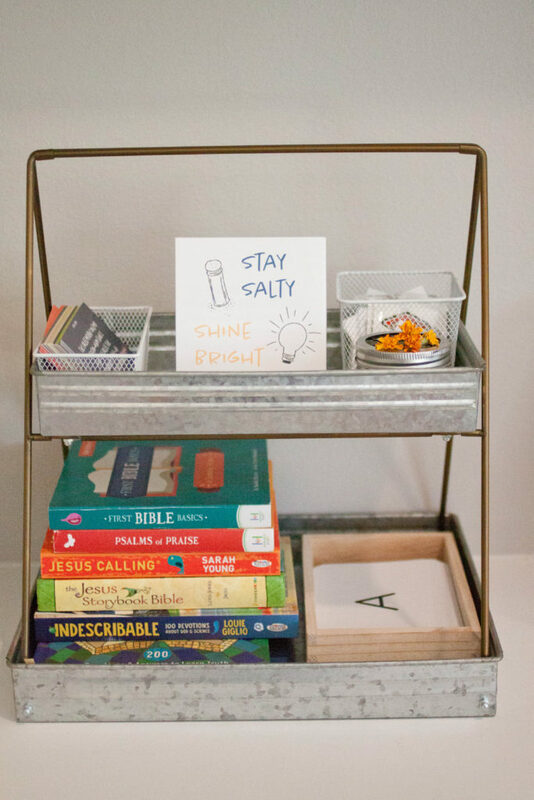 See how salt adds to the art. It also adds to the mess, but it’s totally worth it. Make Candles // This might take a little more effort but can always be fun. Especially if you need some teacher or grandparent gifts (grandparents day is coming up!) You can by the wax sheets and have your kids roll a candle. Easy and fun! Candle in a Jar // This is my favorite activity. Get a small candle and a jar. Light candle, then place the jar over the top of it. Watch the flame go out. The lesson is not to let anyone make you hide your light. Hide it under a bushel….NO! Let it shine. Salt Scrub // Can also be another gift. Easy to see how salt can be used. Shadow Puppets // This doesn’t have to be an elaborate activity. Scripture Memory // Learn the scripture. Even if it’s the summary. If you have any feedback, I’d love to hear it. Any requests for a specific scripture to study with your kids? I’d also love to know what you’d like to learn about! !